Dubai is once again reaching for the sky with the groundbreaking of the emirate's brand new icon, The Tower, set to be taller than Burj Khalifa, will take place today. Dubai is once again reaching for the sky with the groundbreaking of the emirate’s brand new icon, The Tower, set to be taller than Burj Khalifa, will take place today. Set in the heart of Dubai Creek Harbour, The Tower, designed by Spanish-Swiss architect Santiago Calatrava Valls, is set to be 100 metres taller than Burj Khalifa, the world’s tallest tower standing at 828 metres. Emaar Properties launched the project in April this year. 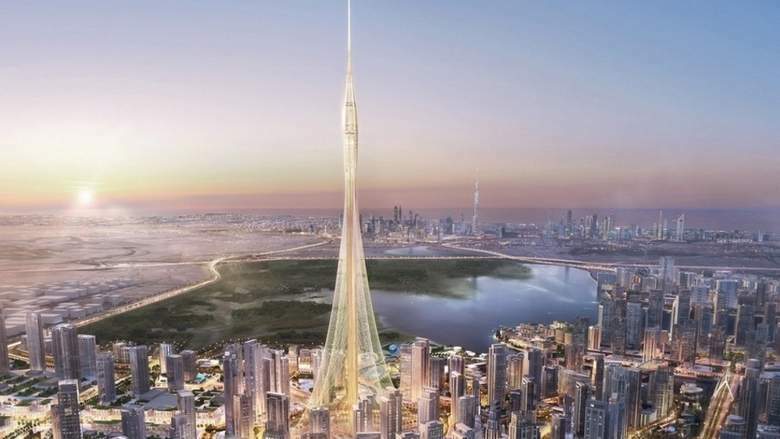 It is described by Emaar chairman Mohamed Alabbar as “an ambitious project on a never-before scale and design” which will require “high-precision engineering across all its facets”. Scheduled to be delivered ahead of Expo 2020 at a cost of $1 billion (Dh3.67 billion) to build, The Tower “will serve as a beacon of hope and positivity for the city and the region,” he added. The Tower, however, is not a “traditional skyscraper” but a slender tower evoking the image of a minaret anchored to the ground with sturdy cables. It will have observation decks, hanging gardens, a world-class boutique hotel, and other tourist facilities.